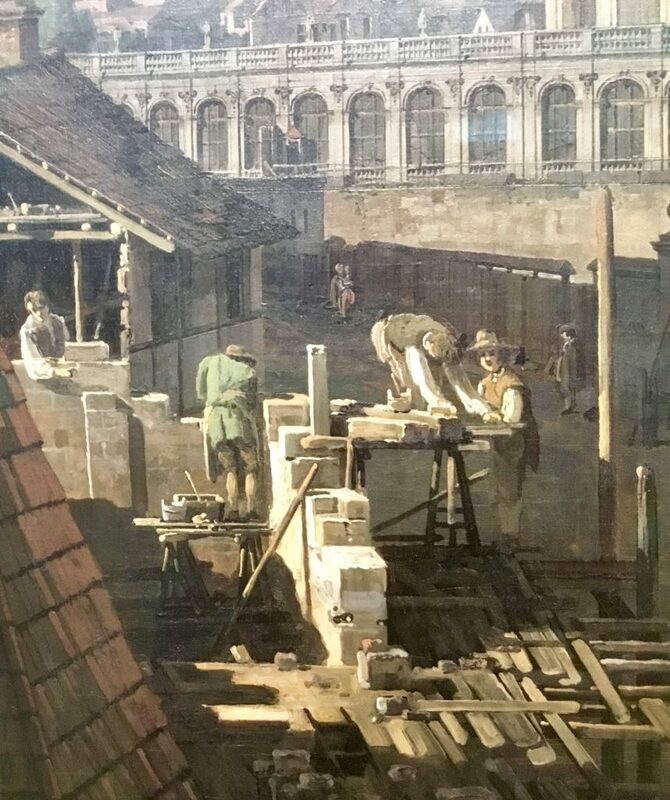 I’ve been away for a few weeks–but I don’t want you to miss notice of an excellent exhibition at the Kimbell Art Museum: The Lure of Dresden: Bellotto at the Court of Saxony, which runs until Apr. 28. For the headline above, I used the first words of my review of the show, which was published in The Wall Street Journal while I was away. That’s because Bellotto’s panoramic pictures are on loan from the Gemäldegalerie (Picture Gallery) of the Dresden State Art Collections. While it is renovating, it shipped 24 of its signature paintings to the Kimbell. Bernardo Bellotto (1721-1780) was born a year before his uncle, Giovanni Antonio Canaletto. 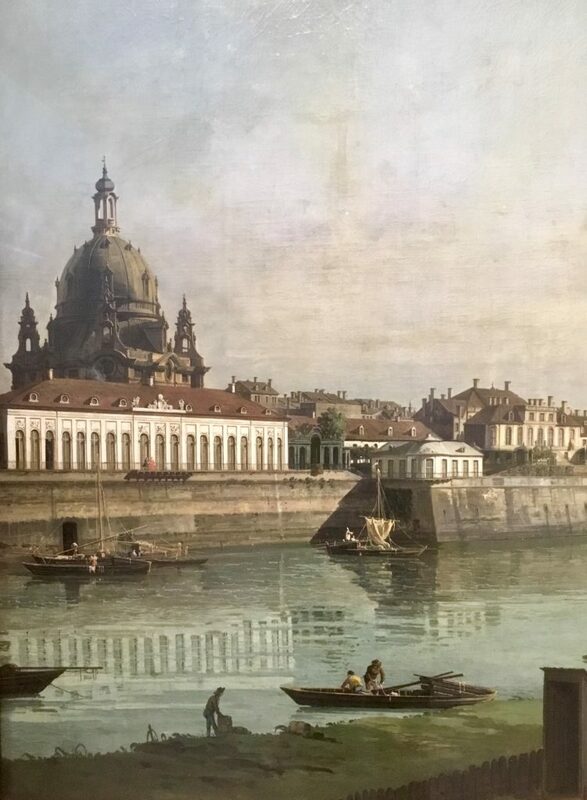 began to make view paintings Bellotto studied with his uncle while in his teens, soon gained admittance to the painters’ guild, and in 1747, when he was still in his twenties, he accepted a call to Dresden from the Elector of Saxony, Frederick-Augustus II. 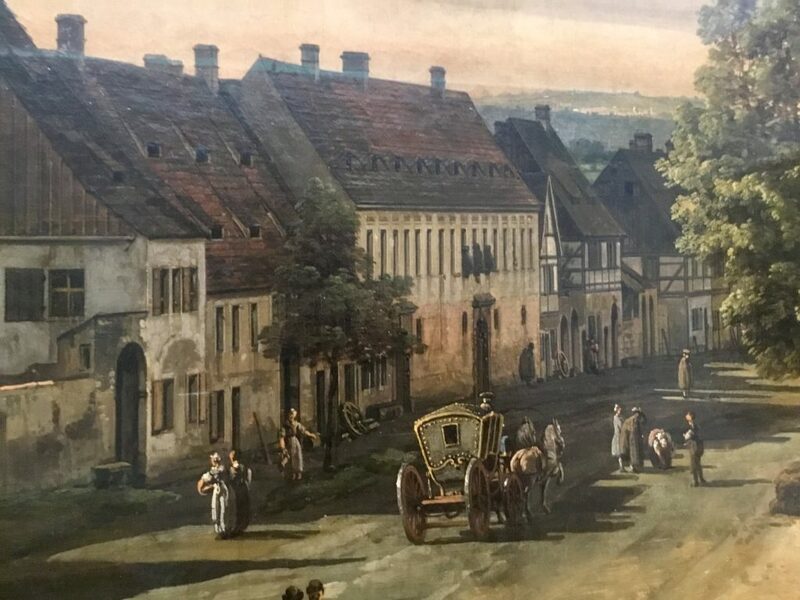 He wanted Bellotto to record his grand, baroque city and, later, to paint Pirna, a small town about 12 miles southeast of Dresden whose medieval castle functioned as a lookout for trade routes to Bohemia. Bellotto painted his Dresden panoramas—seven of which are on view here—from a distance, often from an angle. He left the top half of his canvases for sky and clouds, the better to orchestrate different lighting and atmospheric effects. When the sun was shining, he limned the building reflections on the water (the Elbe River runs through most of his Dresden paintings) to perfection. Bellotto created those little vignettes of life in all of his pictures. 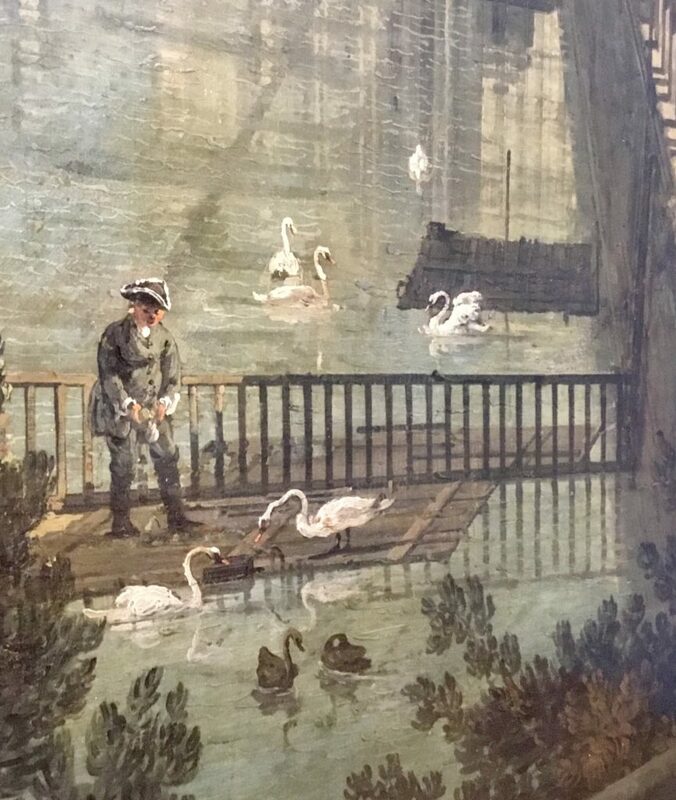 That’s why, as I wrote in the review, I think this exhibition should be popular, even if Bellotto is not a household name: People love details in art, as anyone who ever eavesdropped in a museum can attest. Bellotto delivers in that respect, among many others. I’m using a few details as illustration here so you can see the life–you can see some entire paintings on the Kimbell website and in the Journal.